We have had some truly amazing holidays with Worldmark. I suppose the most amazing of which is when we took another couple and their children and toured New Zealand. The Rotorua accommodation was superb. Travelling to the resort we drove through mist and didn’t realise until the following day the enormity of the lake. At breakfast 3 geese travelled up onto our balcony to say hello and everyone, especially the young children were delighted. While I find Worldmark’s accommodation standard high I also find that the location of their resorts is somewhat out of the way, leading to interesting finds and investigations. 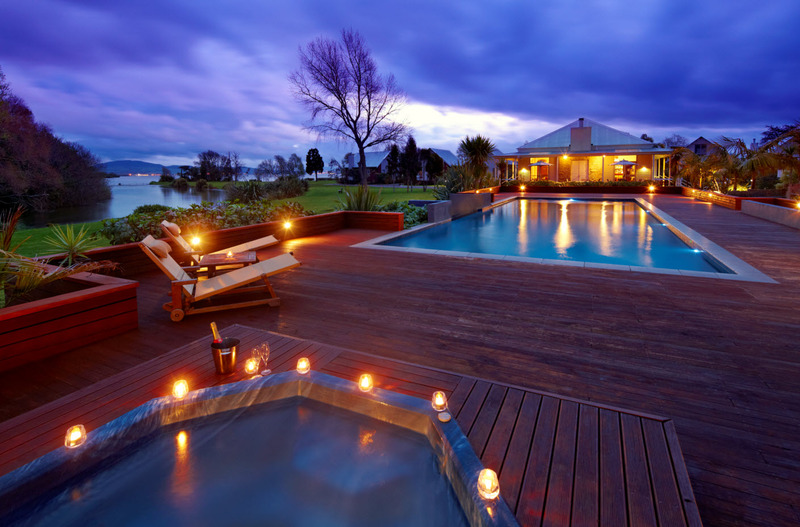 When we arrived at the Rotorua Resort it was tucked away and not too close to restaurants. We asked the receptionist where we should eat and she suggested a fish and chip shop 5 minutes down the road. While we have had many experiences during our life time, an oddity like a fish and chip shop in the middle of nowhere seemed like a real adventure. Mind you this was quite a long time ago and it may have all changed. One morning during a big cook up for the 2 families my husband put on to the cold glass dining table a hot glass baking tray which shattered into a million pieces. This certainly did add some colour to that particular breakfast seeing as the glass baking try was carrying a dozen fried eggs. As I remember we were at Rotorua during winter and it was particularly cold and beautiful. The attraction to Rotorua, apart from the Worldmark resort, is the Maori culture and the thermal mud pools and hot springs. I remember when we visited a Maori village and were treated to a war like ceremony where we were told we couldn’t laugh, speak or affront the culture in any way. Another evening, prior to a Maori feast, again another war ceremony with flames in the dark and young very fit Maori men with weapons closing in on us by boat while we were standing quite scared on the side of the river. My husband was a tad mindful of the situation. The sulphur experience only heightened my senses. I hope you enjoy Rotorua too. When asked, our families always put New Zealand in the top 2 of their favourite holidays. What is yours?